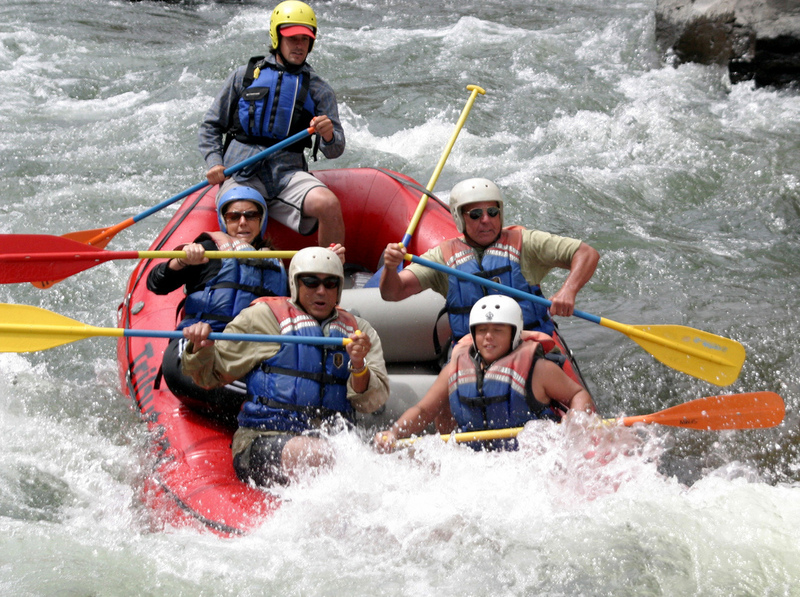 As you read this today I’ll be floating…uh, white water rafting down the beautiful rivers of the Oconee in Tennessee. Depending on my luck, or more accurately the acumen of my raft mates, I’ll have hopefully not gone overboard yet. The last rafting trip on vacation this past summer – the first in probably five years – I deep-sixed on the first class three rapid we hit. Nailed it perfectly right on my side of the boat. I love days like this, even if it’s only for a few hours. The chance to be on a river and let my senses drink in the sights and sounds of nature remains something I always look forward to. It brings me pleasure and peace even when bouncing out and into the drink – life preserver, oar and all. We’ve been given so much that satisfies our desires to the fullest. This extraordinary world and all it contains can bring life to our soul as we enjoy and explore it. It’s rejuvenating, precious and thrilling all at once. I believe there was purpose to that. The handiwork mentioned in that verse refers to the grand work God performed during six literal days of creation in Genesis chapter 1. His full creativity and splendor was on display as he voiced into existence every piece of matter and living thing. This creation serves as a magnet to the One who created it. It’s specifically designed to point people back to God. And every time I spend extended periods in it, I draw closer to Him and am more thankful I can be filled inside with the fullness of His house…this earth. I’ll be outside today paddling down a river full of pleasures. Wherever you are, drink in some of nature’s beauty and let it recharge our soul. You may find in it the Light you’ve always been seeking. What do you enjoy most about the outdoors? Do you find rest and relaxation in being outside or are you more of an indoors person? I love whitewater rafting! My family has gone in upstate NY the last few years and I had a chance to go in Colorado last year too. It’s definitely an awesome rush! Mel recently posted…Should You DIY Your Will? Oh…Colorado. I was just talking about that the other day after our trip. That seems like the dream whitewater rafting trip. Although I’ve been on some really good rivers in West Virginia. That sounds like fun! I’ve heard that is a beautiful country to visit. I hope you had fun! When my allergies aren’t acting up, I love being outside in nature. There is something very peaceful about it. Getting to see waterfalls is something I really enjoy. I’ve never been whitewater rafting, but I’d like to try! I’ve done some rafting at the Nantahala Outdoor Center in NC (http://noc.com/). They have some great trips to choose from, even for beginners. Our last rafting trip was on the Flathead River in Glacier Park MT; God’s handiwork is on full display there for sure. The water temp was 48 degrees – a little cooler than what we’re used to down here in FL! Luckily we stayed dry but one of my sons jumped in to ‘see how cold it really felt’ and it literally took the breath right out of his lungs, haha. I went white water kayaking 3 years ago and was pumped for about 3 days afterwards. Some parts were so thrilling and a little bit scary. I wasn’t afraid to fall out of the boat but I didn’t want to because it was so hard to get back in again. Hope you have a blast too! “…it was so hard to get back in again.” That’s true. There is a right and wrong way to help someone back into the raft. Do it the wrong way and you will more than likely find yourself going into the river. The older I get the more I appreciate the indoors when it comes to bedtime, but being the mom of 3 Eagle Scouts allows for plenty of outdoor time. We actually had the chance to go to The Great Smoky Mountains for whitewater rafting ourselves earlier this summer. It’s funny what draws people in. I love to be around trees and/or water, but I know others who find the desert-y southwest US to be their source of comfort. I really enjoyed the southwest US the one time I visited. The open spaces create some stunning visuals. I love being outside and near or in the water. I used to be the co-captain of a women’s dragonboat team and hearing my paddle along with the rest of the crews’ connect with the water at the same time was a goose-bump experience for me. Hope you had a great day rafting Brian! Being in sync with others is a cool thing. That has so many applications to the various life situations we find ourselves in. How fun! I think being out in nature really connects you to whatever your “source” is…you start to notice the earth, sky, trees, water…everything just a bit more. I’m a bit half and half. I love the outdoors, but I also love creature comfort, so while I like a good day hike, I like to sleep somewhere that has indoor plumbing at night. 🙂 Be safe and have fun!